Located in Publix Plaza at intersection of Atlantic Blvd. and Hodges Blvd. The mission of our office is to help our policyholders manage the risks of everyday life and be the first choice for all of their Florida insurance needs. 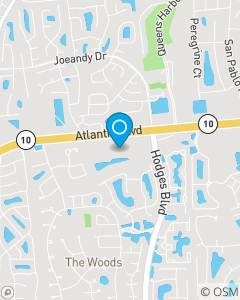 We focus on auto insurance, motorcycle insurance, home and renters insurance, life insurance, health insurance and financial products throughout Florida, including Jacksonville, Atlantic Beach, Neptune Beach, Jacksonville Beach, Ponte Vedra, Ponte Vedra Beach, St Johns and Orange Park.